Even overseas, good news travels fast. Thank you, Sandy. Thank you. For more Sandra-tasticness, check out this clip where she pays tribute to Latina/o culture. It’s six minutes of your life that you will not regret. Really. The Obama Problem – He Knows Where You Keep it. When travelling, it’s important to keep the Oreo identity up even overseas (more on that when I get back). But thanks to news about tax time in the states, that wasn’t so difficult. Having a (half) black (so says the Census) president is an interesting situation for an Oreo. First, we were forced to choose between John McCain (the Oreo choice for strictly societal reasons) and Obama (the obvious choice per society if you were of color…or a person). Check one box and you can set yourself apart from all of the world’s expectations and be the subject of interesting conversations. Check the other and you could sleep a little better at night. And now, thanks to a (half) black man in the White House, we’re often told that because we’re living in post-racial America, there’s no need for Oreos at all. But we still have an awesome opportunity! Because now, Oreos can listen to Tea Party rants and figure out a great political party with which to align. No one’s gonna see it coming if you check the box for Tea Party. What better way to express your self loathing than that! Now, in order to do this, you’re going to have to ignore some of what the socialists like to call “facts.” Like how we’re actually paying less in taxes under Obama than we were under Bush. So says Bruce Bartlett, a fiscal conservative and member of W’s and Reagan’s team. And here are some other numbers to back that up. These are from the Examiner. In fact, nearly every American saw their tax burden decrease under Obama administration policies. No matter how you look at the data Americans are generally paying a lesser percentage of their income in federal taxes than before President Obama. For example, an average family making between $40,000-$50,000 is paying $472 less than when President Obama came into office. An average taxpayer making $50,000-$75,000 is paying $522. But spouting something like that would make you sound like an RBP. Instead, pass around this video brought to you by our friends and golf partners at the RNC. What do you think? Did you feel more of a pinch this year? Has your return been lackluster? Or do you think that we’re doing okay tax-wise? One of the risks you always run as an Oreo is someone giving you an overly ethnic gift that is hard to justify turning down. 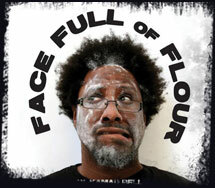 Such was the case with the CD with which I was gifted before my flight: W. Kamau Bell’s Face Full of Flour. But ’twas not my fortune. Turns out it was a comedy CD by a black guy. Obviously, I proceeded with caution. The last thing I needed anyone in the airport to hear bleeding from my earbuds was a Chris Rock-esque rant. The airport security scanner may not have gone off when my bag went by on the belt, but my Oreo scanner sure did! I would have kept it in its place in the bag, except that the inflight movies were all things I had seen a million times. Neverwas, Sound of Music, Match Point. I wanted something new to keep me company. Scary moment, my friends. And one that I highly recommend. I mean, how could I stop listening when I heard what he had to say about Tyler Perry, what his wife looks like and his justification for looser gun control?? You can find Face Full of Flour on itunes and Amazon. Get it and listen. Not only because it’s super hilarious funny, but also because if enough non-colors check it out, it definitely won’t be seen as an of color collectable and I can continue to enjoy it unafraid. **W. gets points actually for having created a show called “The W. Kamau Bell Curve” that you should also check out if you can! Check out Bell below. Clip is not totally SFW for language. News too exciting not to post! Seeing this headline totally got me out of my jet laggy haze. Virginia Gov. Robert A McDonnell. War hero by proxy. Yep! In 2010, we are going totally retro! Let’s go rebels! 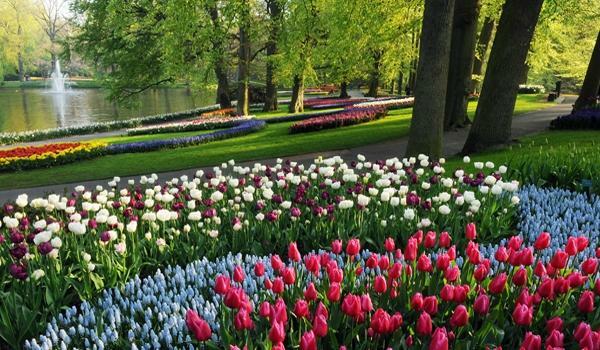 Part of me now wishes I could spend April there instead of tiptoeing through the tulips just to enjoy what realigining oneself with the Confederacy will do for a people. And what better event for an Oreo to attend! One of the best convo starters for Oreos is how the Civil War really wasn’t about slavery at all. But about big bad government taking away states rights to own slaves freely govern themselves and pass laws about their slaves. I can only image what kinds of wonderful historic reenactments and costumed festivities will take place. And hey, if the Sons of the Confederacy think that something is noble and good, then it really must be. The Virginia Division of the Sons of Confederate Veterans congratulates and thanks Gov. McDonnell for showing both the insight and the courage to proclaim April as Confederate History Month in Virginia. This long-overdue proclamation will do much to promote education and tourism in the Commonwealth. It will also spur localities in Virginia to honor and proclaim their own confederate history months while encouraging the teaching of their own local histories. Gov. 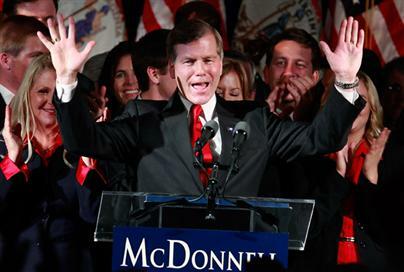 McDonnell was spot on by using the proclamation to showcase the benefits to our state for both educating our children and promoting tourism. Anyone going to celebrate, please take pictures. And tell them I’ll be there next year! What's missing from this pic? An adorable kind of black girl? Correct! hand to the Lipazanners, this is an opportunity an Oreo simply cannot pass up! Things will be in full bloom in May and that is when The Oreo Experience will continue regular postings. Until then, I’ll check in with short updates and travel info.